The U.S. men's national team has developed a swagger, but it's time to show it can compete in major knockout environments. 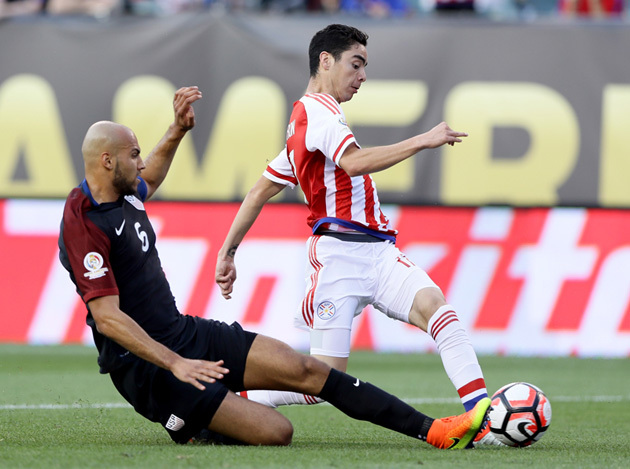 PHILADELPHIA — Now a new Copa América begins for the United States. The U.S. has persevered through the group stage, shaking off an opening loss to Colombia and winning twice against Costa Rica and Paraguay to reach the knockout rounds of another major tournament, even winning the group with a late helping hand from Los Ticos. But the lingering memory of the last truly major U.S. knockout-round game (Gold Cup excluded)—a 2-1 extra-time loss to Belgium at World Cup 2014—is of the Americans being so outplayed by Belgium that they needed a superhuman performance by goalkeeper Tim Howard to stay in the match. If the U.S. is going to show growth and have any chance of reaching coach Jurgen Klinsmann’s goal of making the World Cup 2018 semifinals, it needs to take the next step. It needs to start playing good teams toe-to-toe again in the knockout rounds of major tournaments—just like the U.S. did at World Cup 2002 against Mexico and at the 2009 Confederations Cup to beat Spain. The U.S. knows it will be playing its quarterfinal in Seattle on Thursday against the second-place team from Group B. But it won’t find out the opponent—Brazil, Ecuador or Peru—until after Sunday’s games. All three would provide a significant challenge, but the team with the mystique, obviously, is Brazil. If that ends up being the opponent, Klinsmann said, he wants the U.S. to focus not on the famous yellow jersey but instead on going after top teams and not playing for the counterattack. He wants to see the U.S. back line, which has been terrific in this tournament behind John Brooks and Geoff Cameron, keep playing a high line and resist the urge to drop back. Major-tournament knockout games are one of the primary reasons Klinsmann was hired back in 2011. If knockout-game performances are about mentality, Klinsmann has a giant presence the second he walks into a room as a World Cup-winning player. Every U.S. team in every major tournament has an identity, and this one has more of a swagger than some. You get that from Clint Dempsey and Jermaine Jones and now, finally, from a fearsome center back tandem in Brooks and Cameron. When Brooks raced back to save a goal in the first half against Paraguay, his fist pump after making the play was an image no U.S. fan will soon forget. That was the moment that the 23-year-old Brooks realized in a U.S. uniform for the first time: I own these guys. Now, too, there’s a chance for this U.S. team to hit mainstream sports fans and rally the American public. The NBA Finals may end on Monday. The Stanley Cup final will be over by Wednesday at the latest. 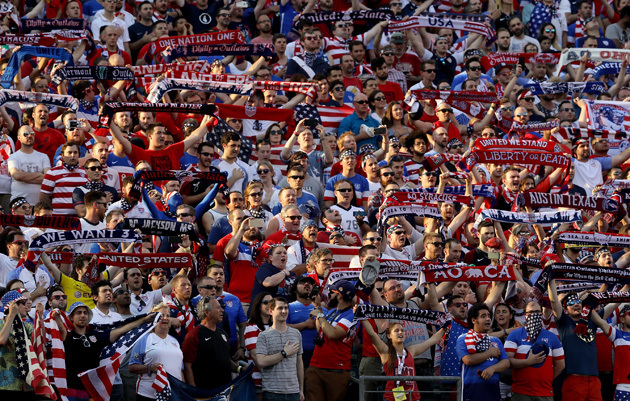 The biggest sporting event in the U.S. on Thursday could very well be the U.S. Copa América quarterfinal. And this U.S. team wants to show them something.